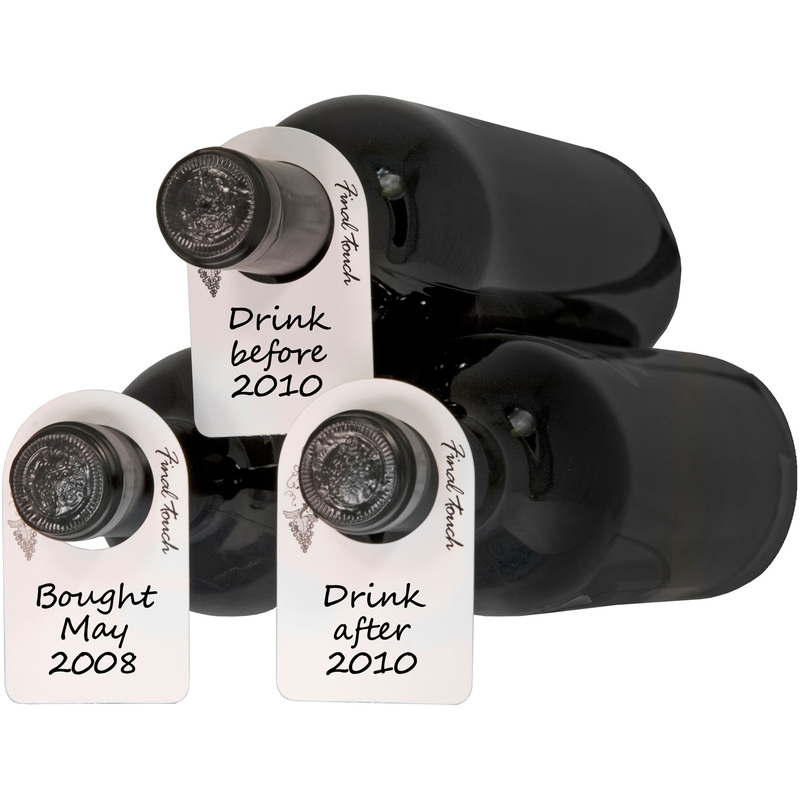 Keep your wines labeled and organized with this set of Final Touch wine bottle tags. Each label is made from durable card stock, and they will hang elegantly from the necks of your bottles. This set includes 48 individual labels, each of which are designed to be hand written on. 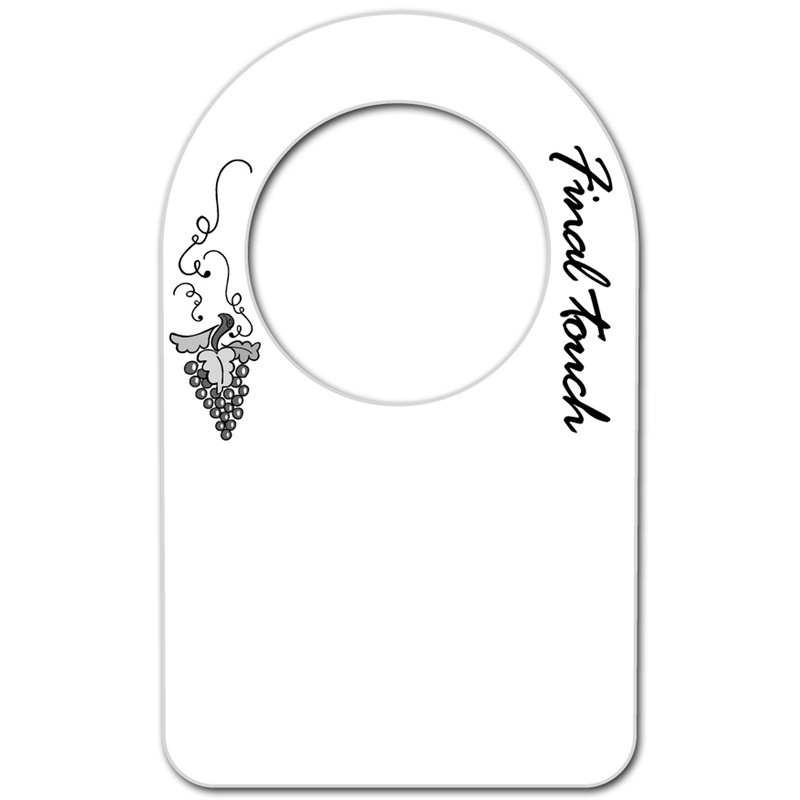 Each tag also features a grape design on one side of the hole and the words "Final Touch" on the other side.